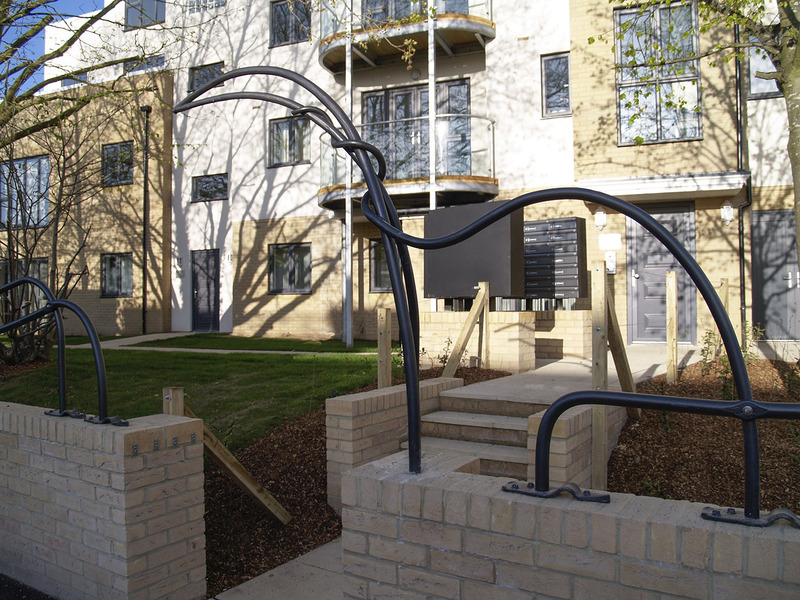 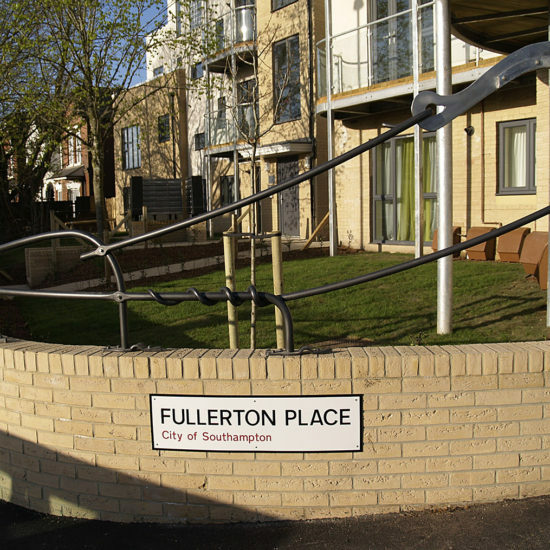 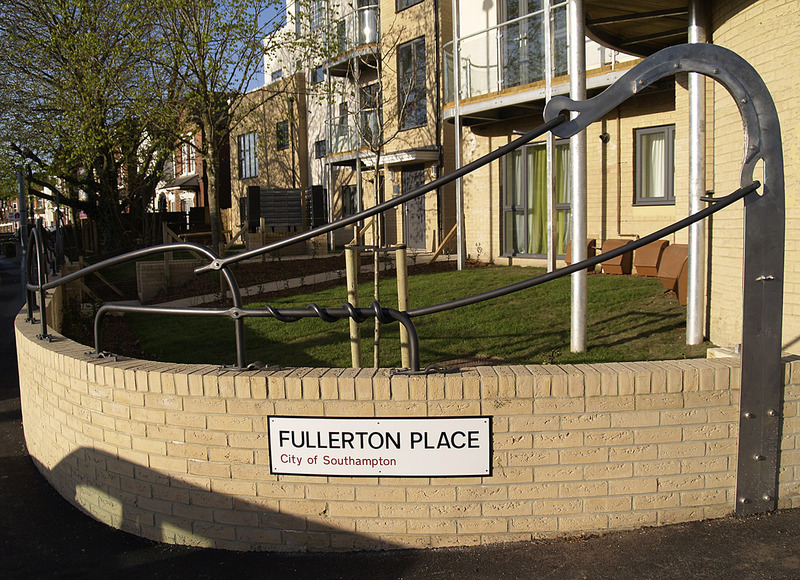 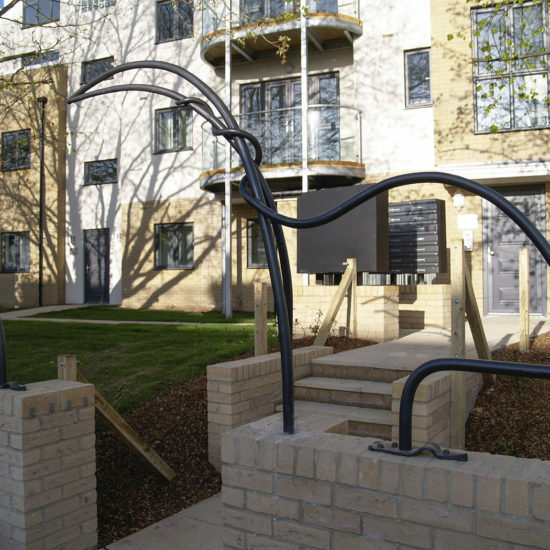 The brief was to create a series of railing with entrance markers for a Local Authority new build, Fullerton Place in Portswood, Southampton. 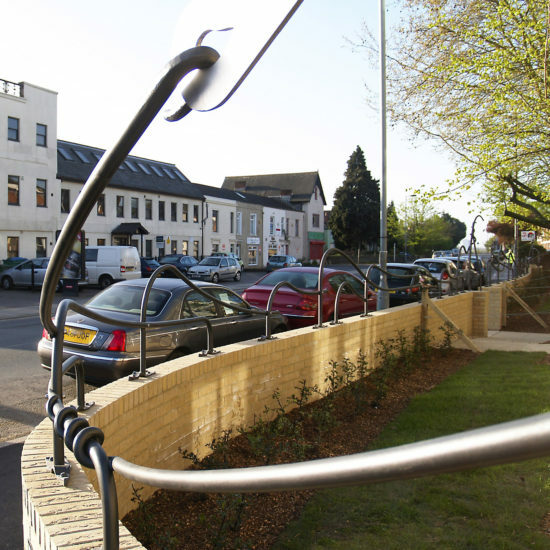 At the conceptual stage of this project it was felt that railing was necessary to delineate between the pavement, narrow garden and the building BUT be light enough to give an open light feel. 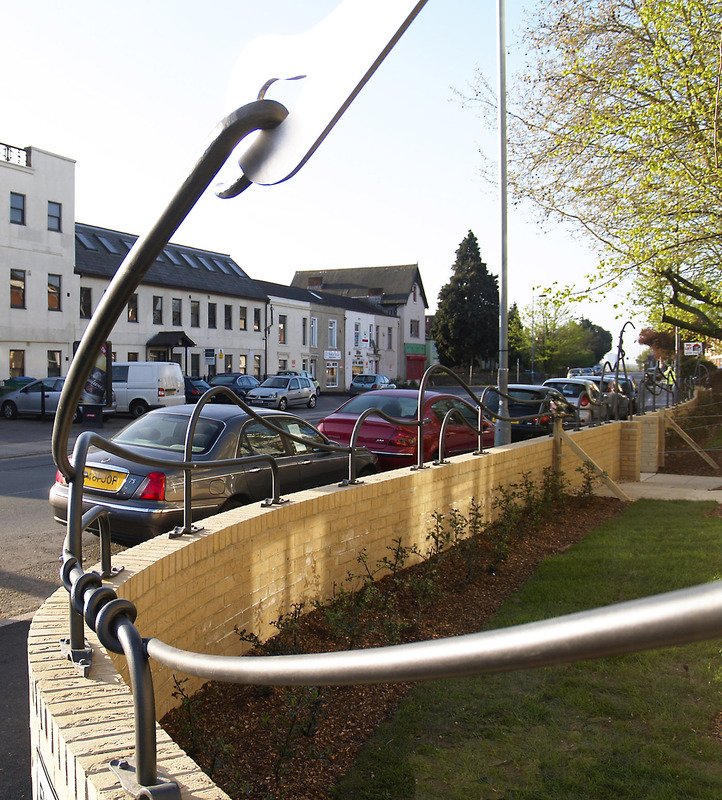 Heavy bar would be oppressive so close to the windows. 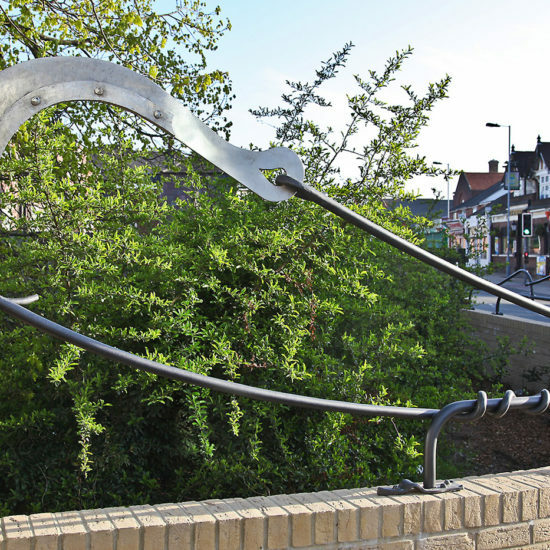 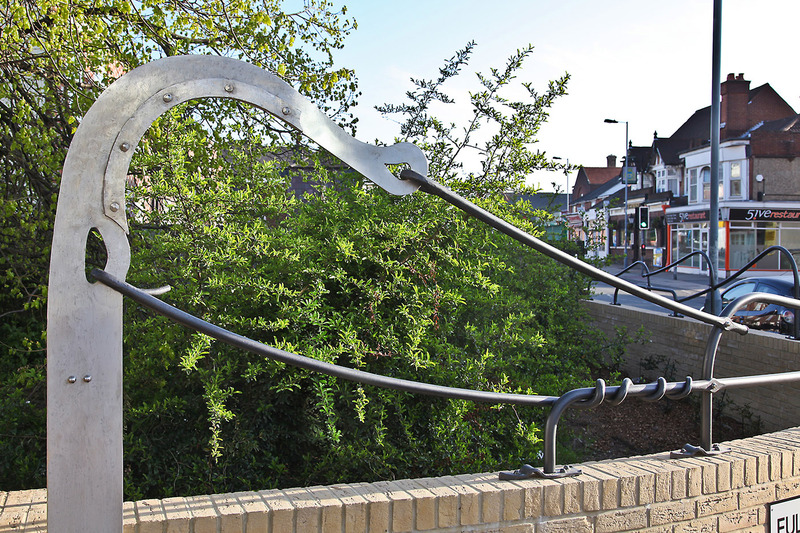 Taking an inspirational source from the local River Itchen we created flowing forms in mild steel, a pedestrian gateway with arch and stainless steel entrance markers.